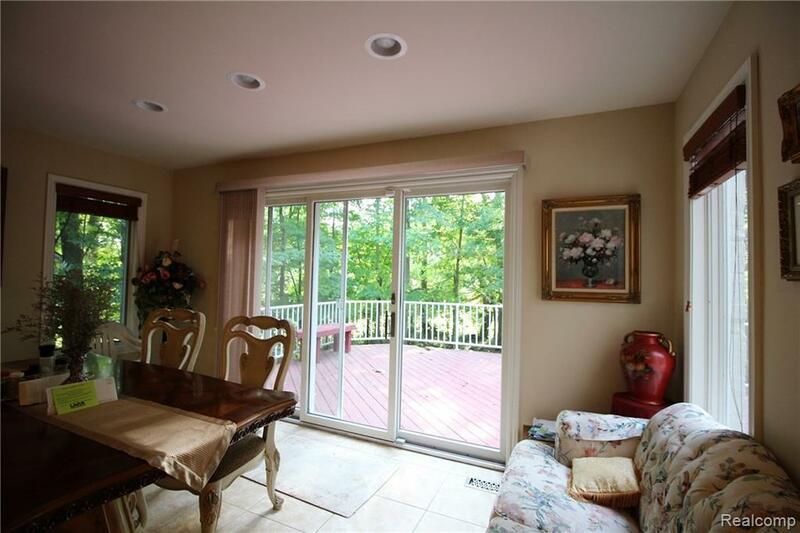 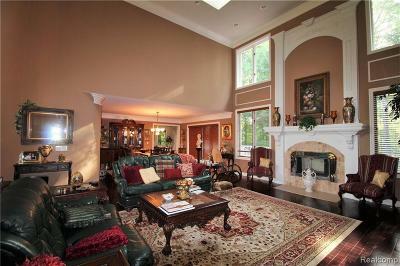 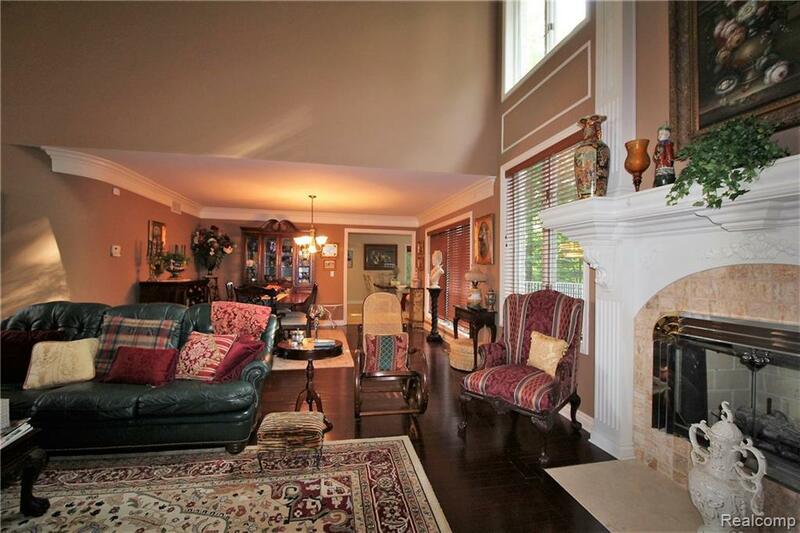 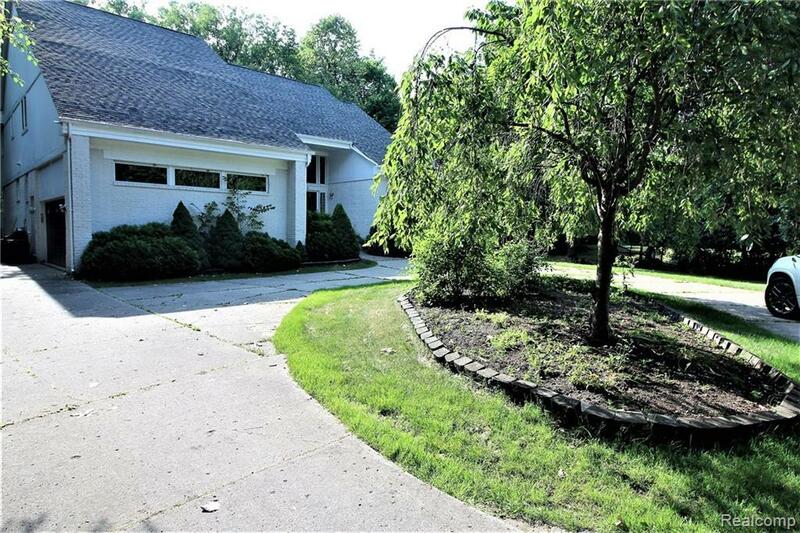 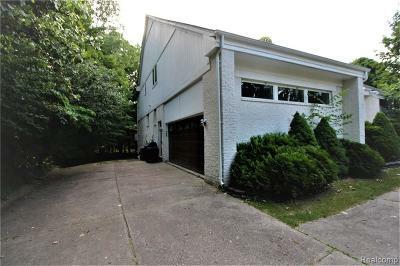 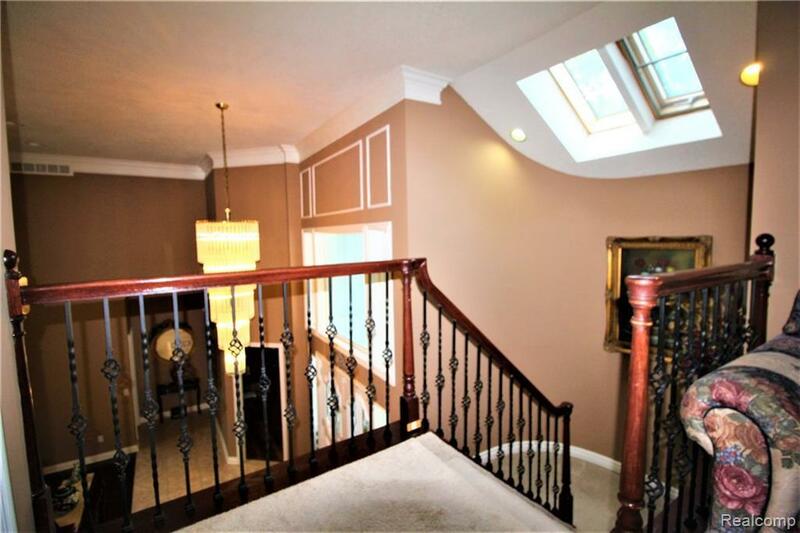 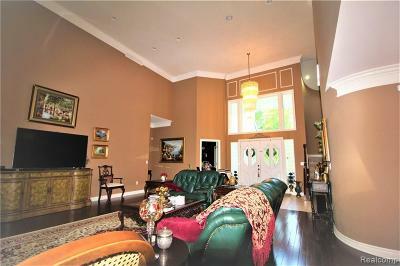 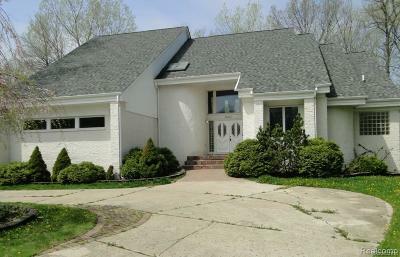 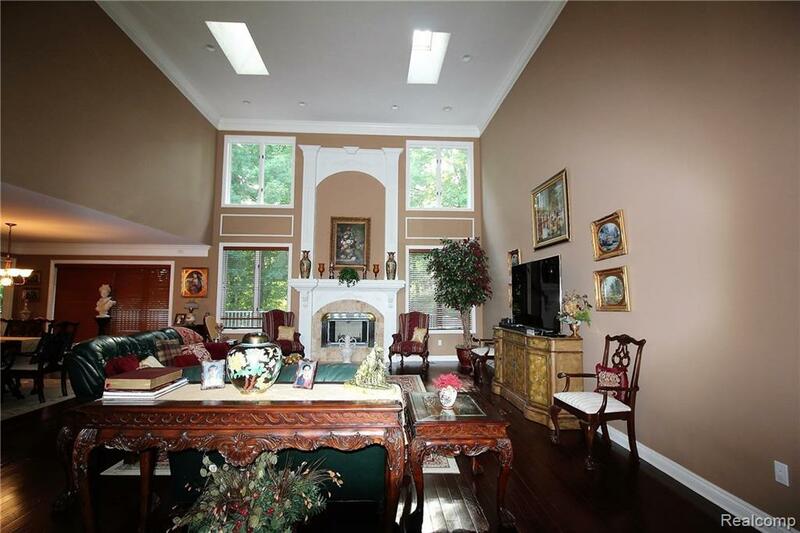 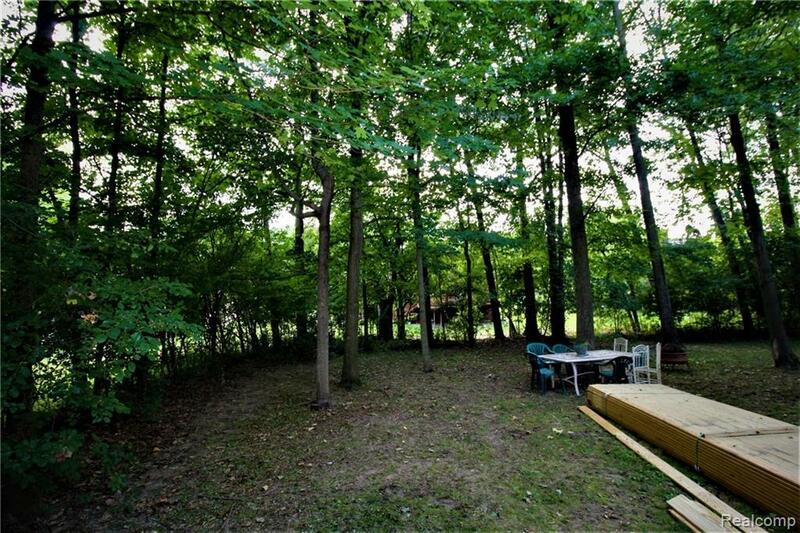 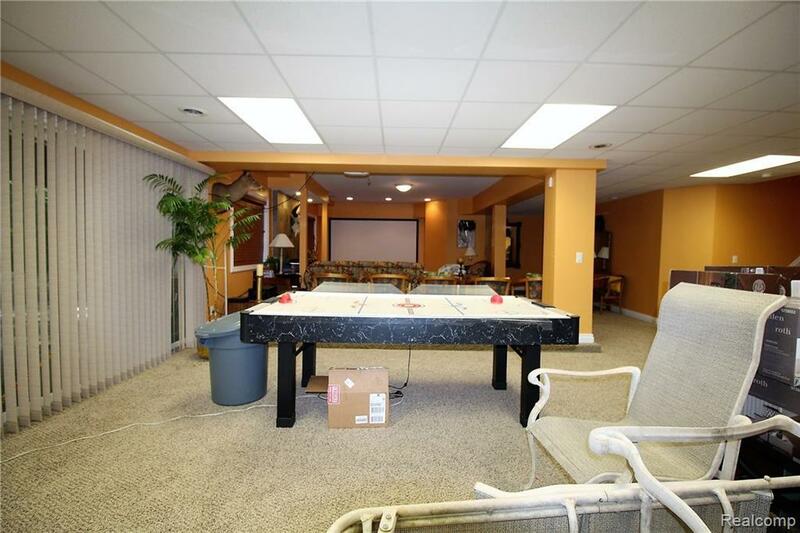 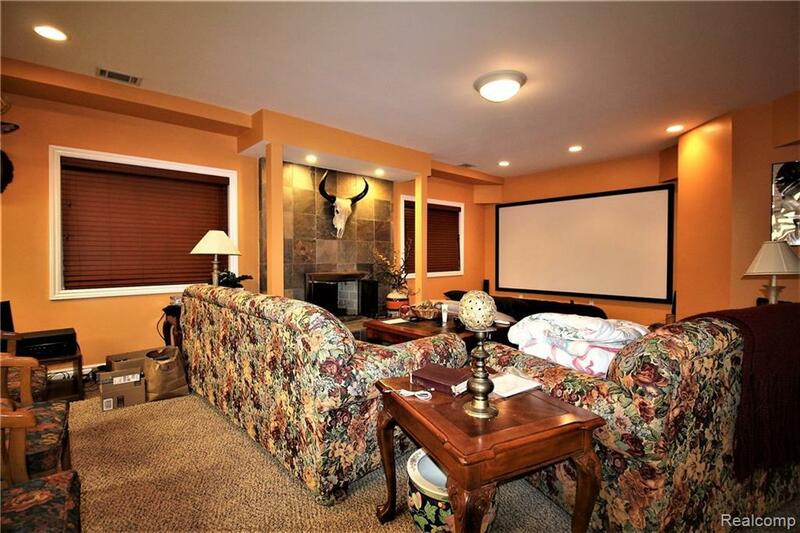 Welcome to this very rare custom built home tucked in an over sized wooded lot in West Bloomfield. 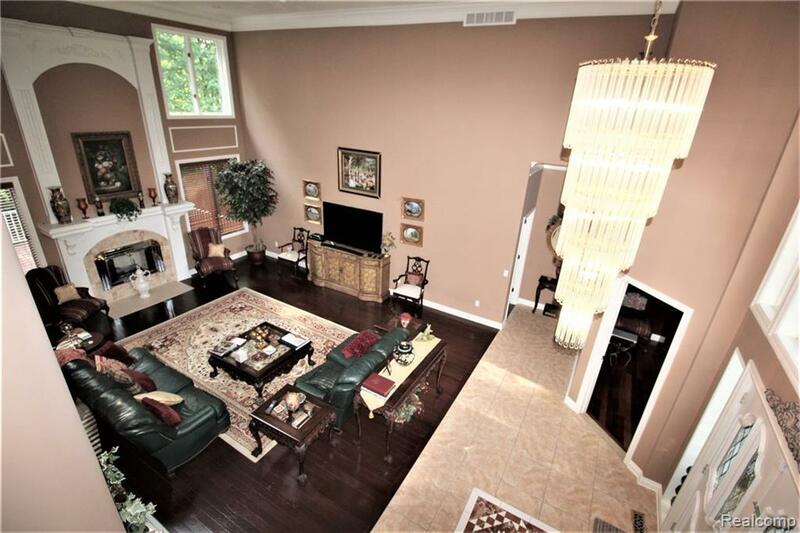 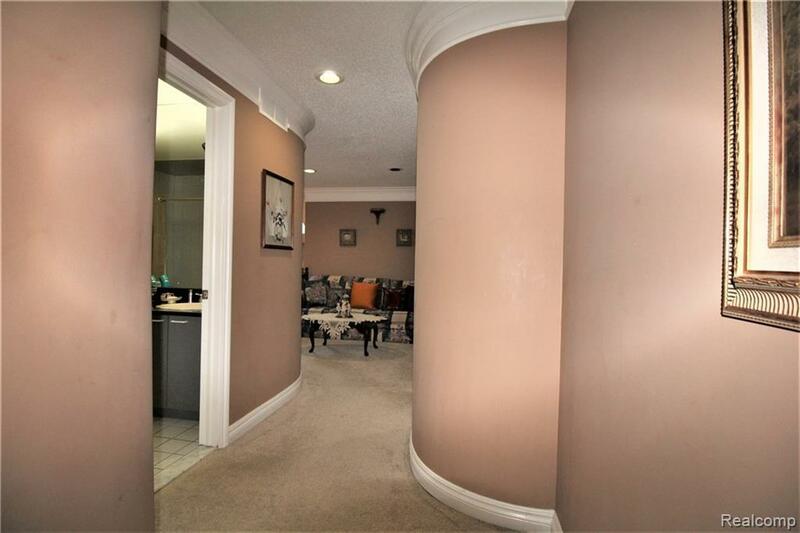 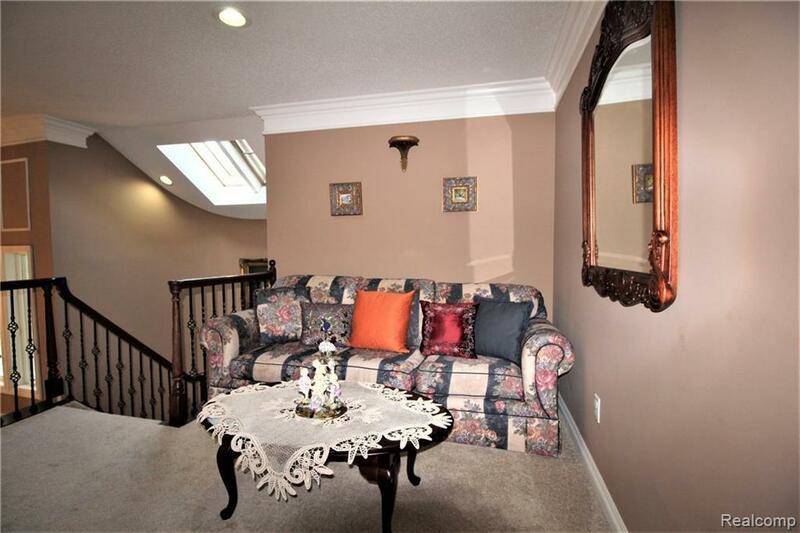 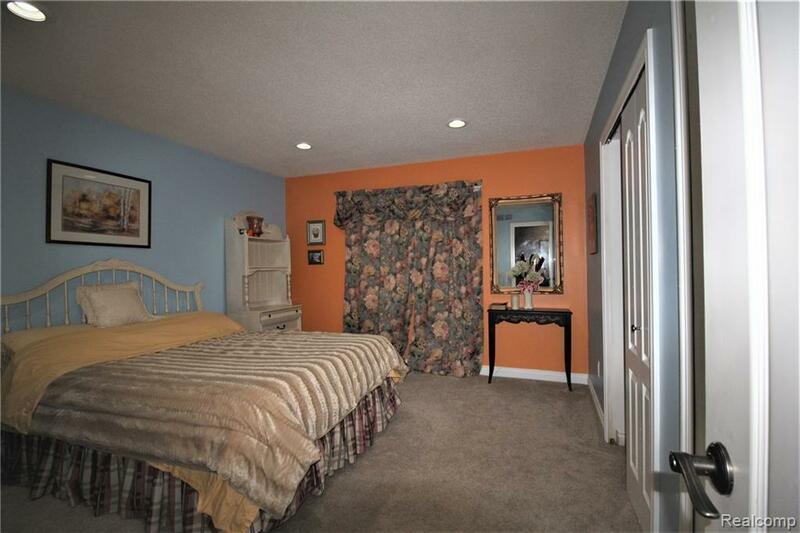 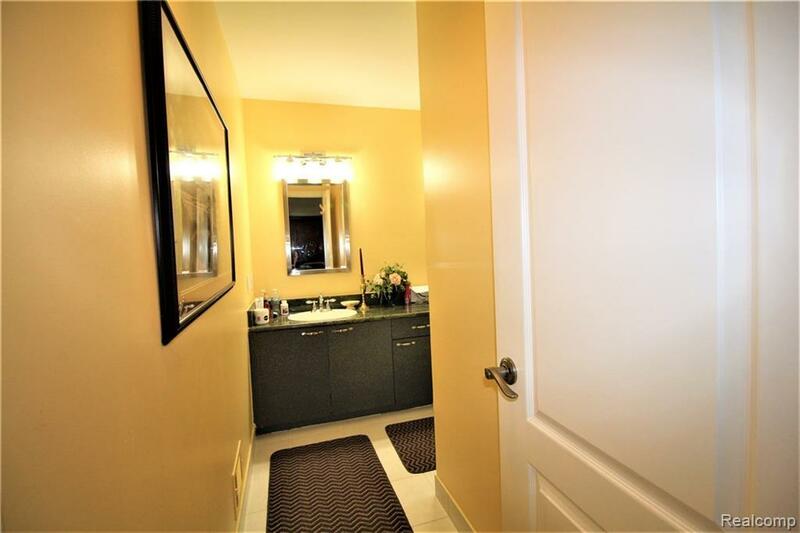 The pictures do not do this home justice, from the minute you walk in you will love the grand feel! 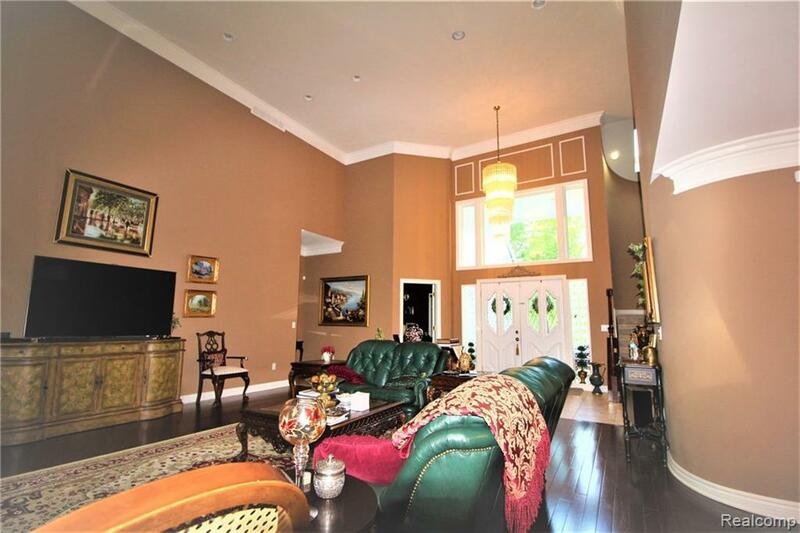 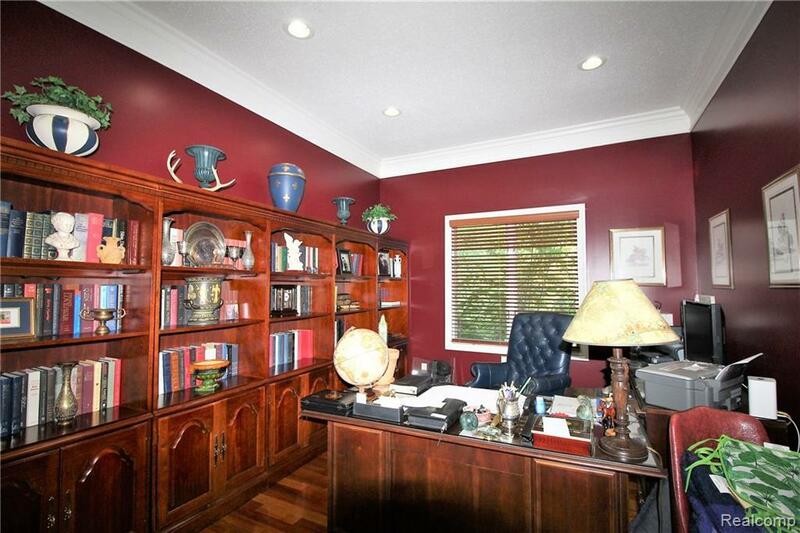 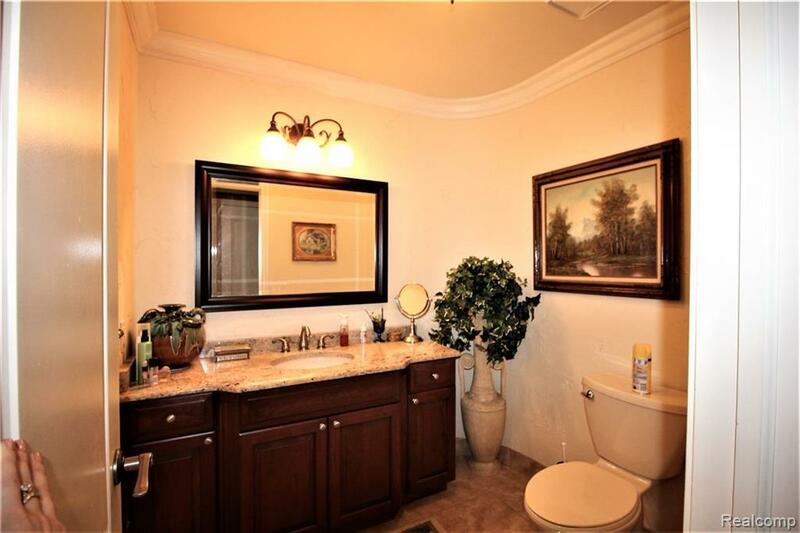 This beautiful custom home offers 5 bedrooms and 4.5 bathrooms. 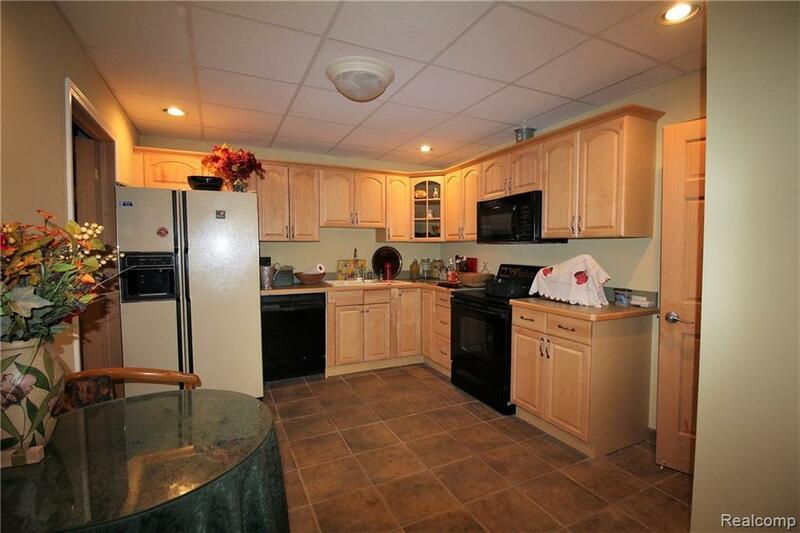 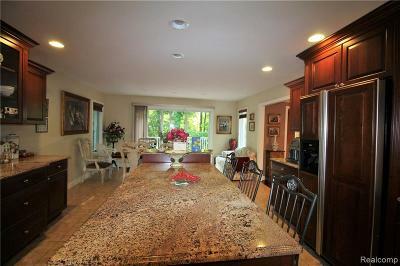 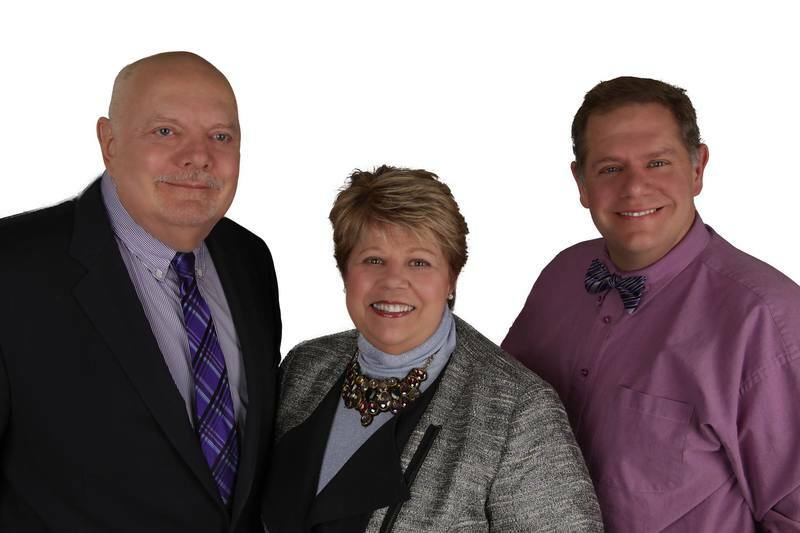 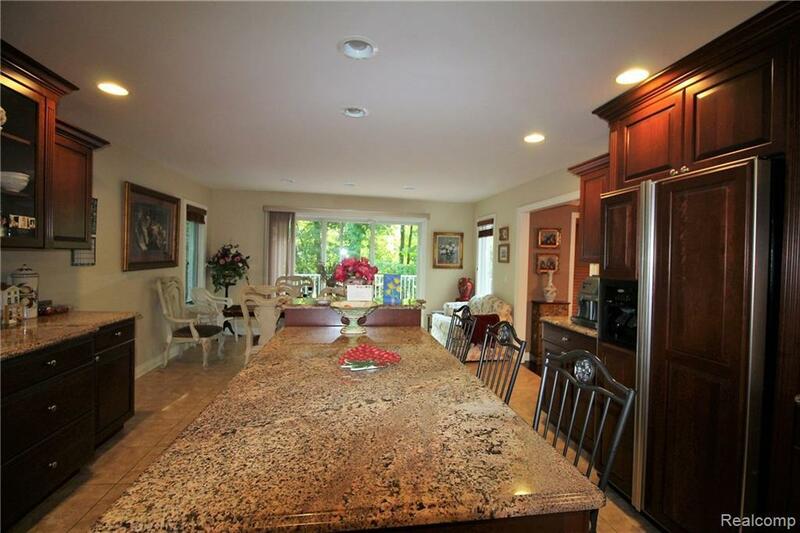 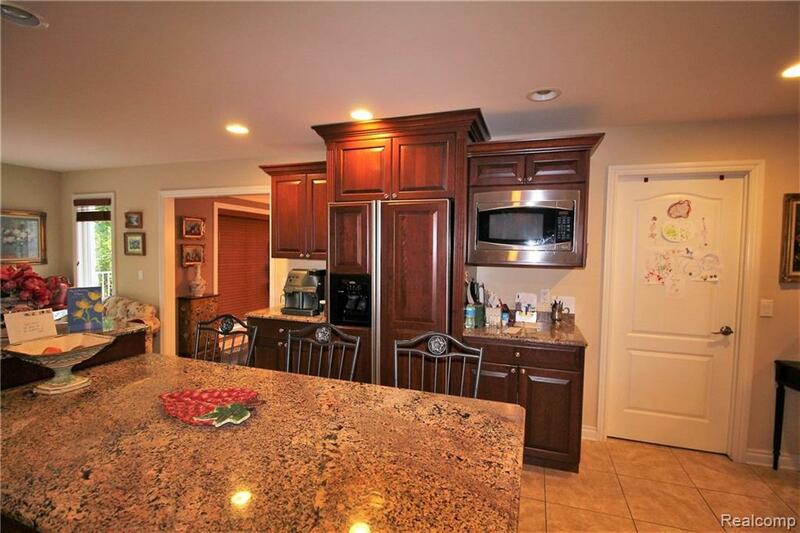 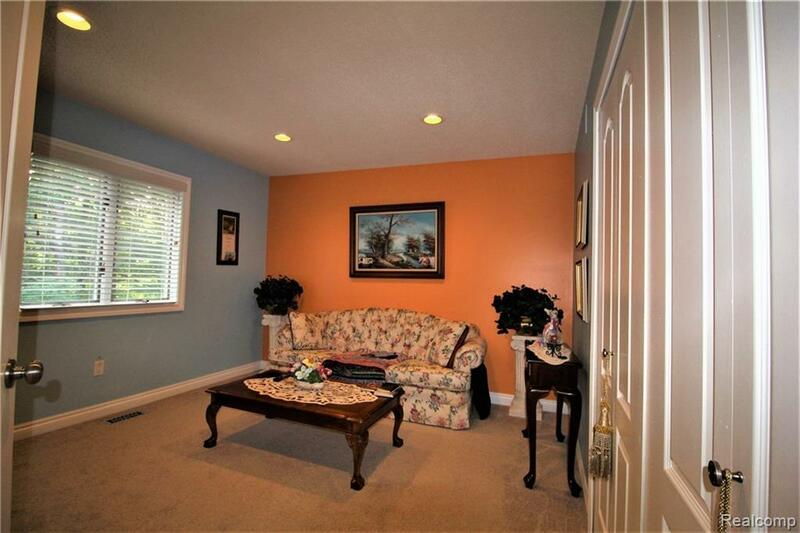 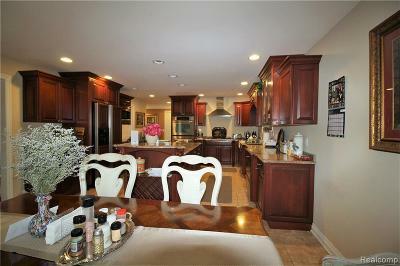 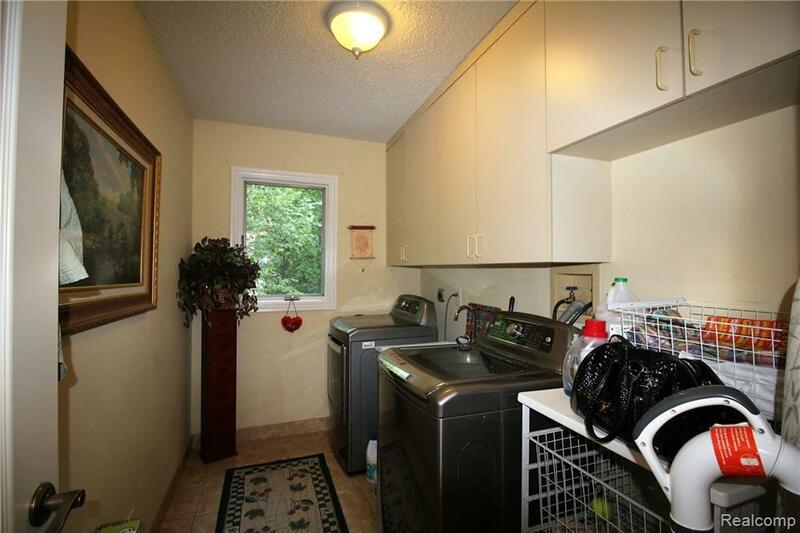 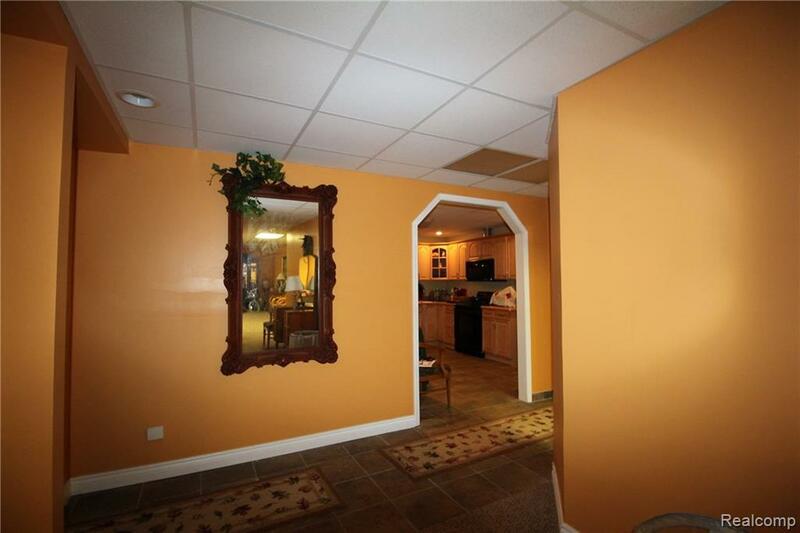 Home features a remodeled open Kitchen with cherry cabinets, granite counter tops and a huge center island. 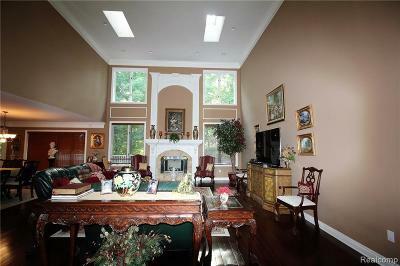 Unique custom floor plan with rounded walls, soaring ceilings, stacked crown molding, huge windows, gas fireplace with custom mantel. 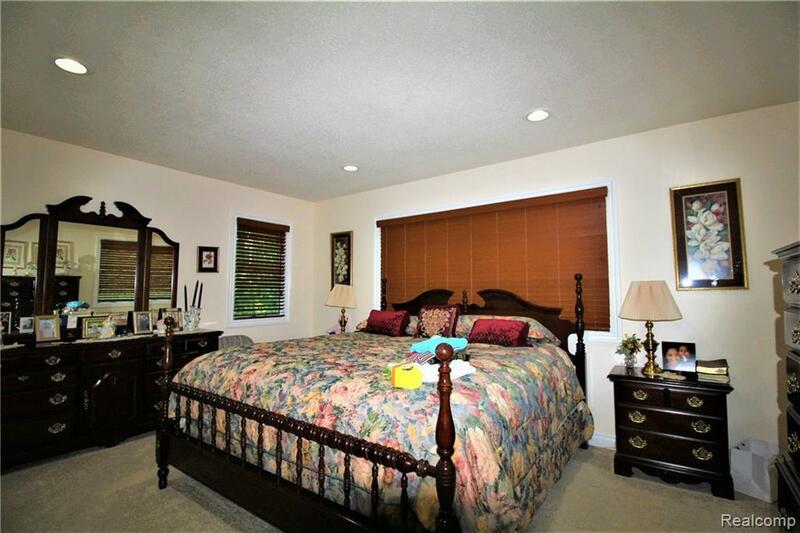 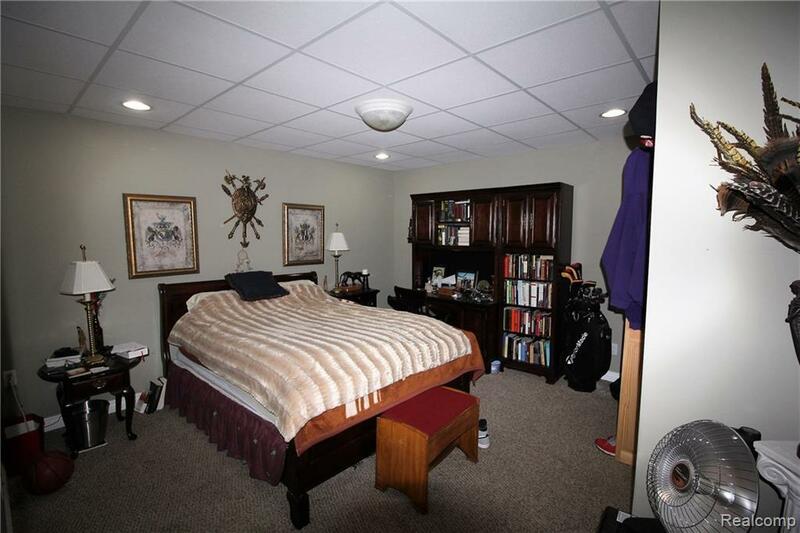 First floor master bedroom is complete with large walk in closet and attached bath with jacuzzi tub, walk in shower and dual sink vanity. 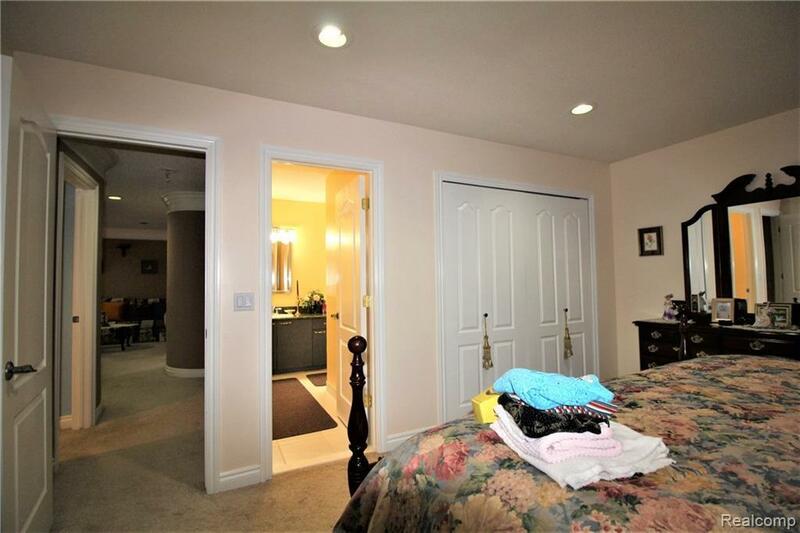 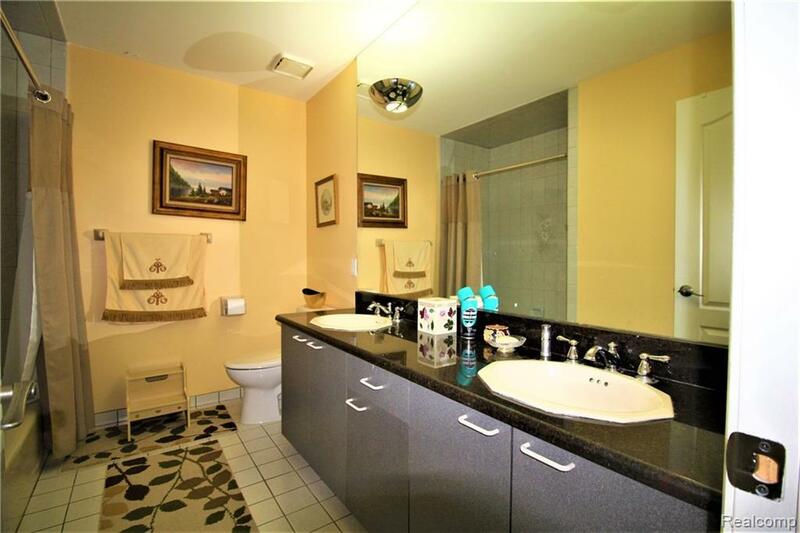 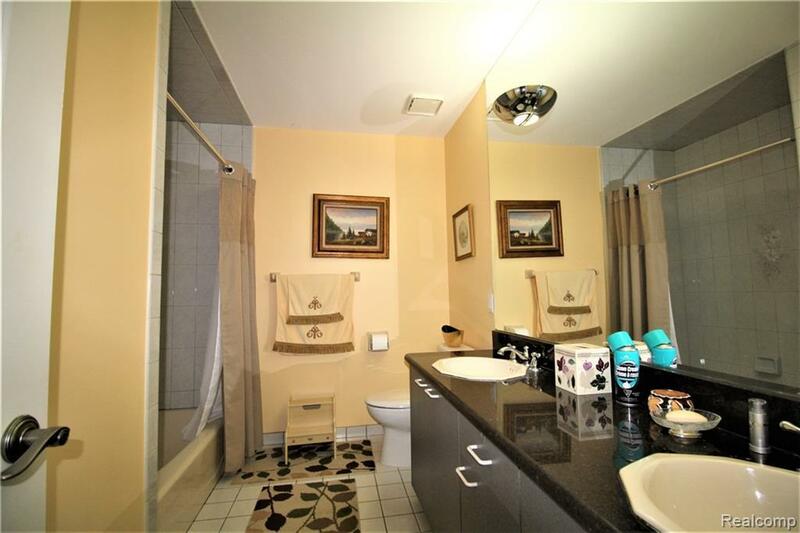 Spacious second floor contains a sitting area, large second floor master bedroom with bath and 2 additional bedrooms and shared bath with double vanity. 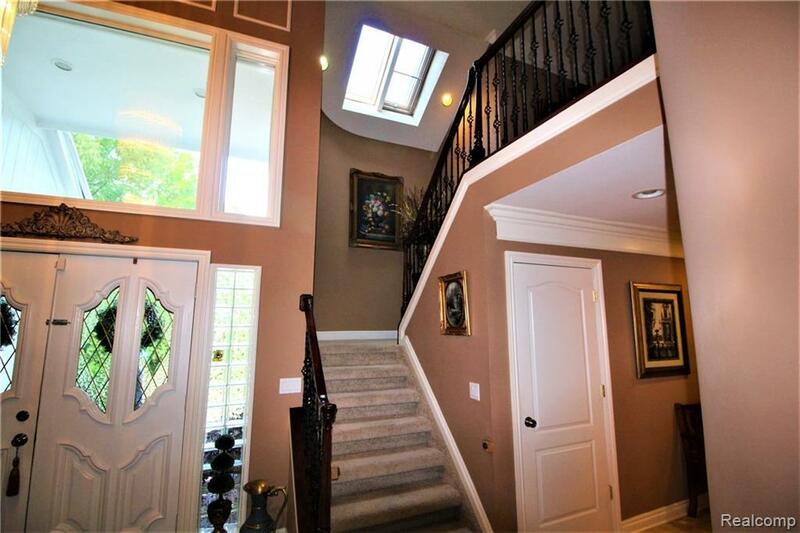 The finished lower lever walkout is a showstopper which could serve as in law quarters, features a 5th bedroom, 2nd full kitchen, large family room and full bath.